When your kitchen is filled to the brim with holiday helpers, these kitchen organization ideas help keep everything neat and tidy. 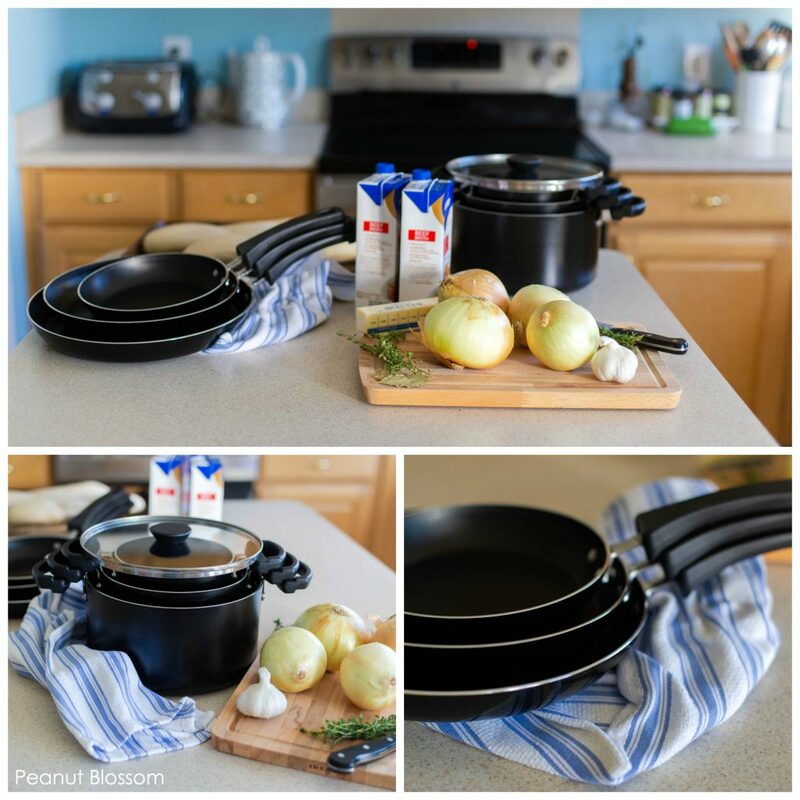 This post is sponsored by Farberware and features their cleverly designed Neat Nest cookware. All thoughts and opinions are our own. 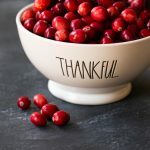 No matter how big your own family might be, the holidays often find our kitchens overflowing with visitors who want to be helpful in the preparation of the feast. I can’t be the only one who has attended parties where everyone seems to prefer clustering around the kitchen island vs. spreading out throughout the house. As hostess, you can try to beat them or join them and simply accept the fact that the kitchen will be the most happening spot of your event. Holiday guests truly want to be helpful but the phrase “too many cooks in the kitchen” rings with much truth. So how do we balance our family and friends’ desire to be helpful with our need to control the production and serving of the food? All while keeping our nerves intact? With just a few handy tricks, your kitchen will be Holiday Helper Ready in no time. I still remember visiting my husband’s family for the first Thanksgiving together. I desperately wanted to be useful but I was completely unfamiliar with the kitchen and their family traditions. It can feel really awkward for your guests to have to stop you and ask where things are or what they can do to help. Instead, prep your kitchen for the newbies pitching in and you’ll all be able to relax a little more together. 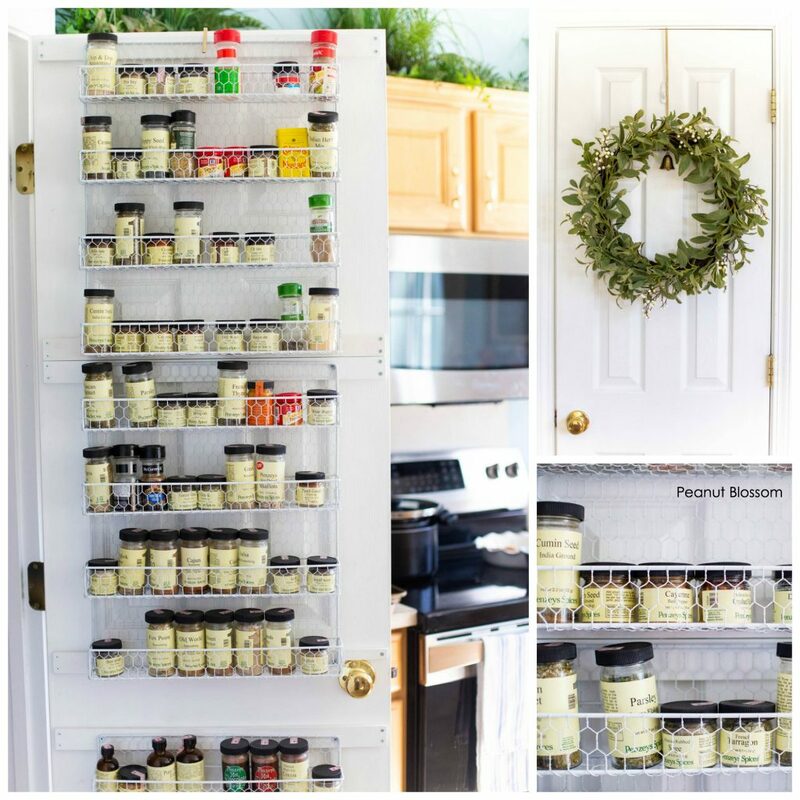 Last year Handyman Tim installed THREE of these amazing 4-tier chicken wire shelves to the inside of our pantry door to hold my extensive spices collection. Anyone can come into my kitchen and find exactly the spice or seasoning that is needed in two seconds flat! Find the chicken wire pantry shelves here. Oh my goodness. The inside of my pots and pans cabinet used to be an absolute NIGHTMARE. I would be mortified to have anyone go in search of a certain lid or saucepan needed for a recipe. I’d have to stop everything I was doing to retrieve it myself vs. asking them to go hunting on their own. I got into the habit of setting out all the cookware I knew we would need for the recipes right on my kitchen counters but the clutter would take over our entire working space and often caused more trouble than the hassle I was trying to avoid! Farberware has designed the most clever kitchen organization tool I have ever seen. Their Neat Nest cookware is brilliantly created to solve the problem of messy pot lids tumbling all around your cabinet. All three lids of the Neat Nest saucepot set stack neatly inside the pots and the handles are created to keep the bottoms of each pot from rubbing against the other to prevent scratches to the non-stick coating. The Neat Nest skillet set is just the same! The handles lock and lift the bottom of each skillet so there’s no rubbing and scratching between the three-piece set. If you’re having trouble imagining how the Neat Nest sets work like I initially did, you can watch their full video that showcases the pots and skillets in action. With the Farberware Neat Nest cookware, you will have plenty of room to display the pieces on your counter for convenience or rest assured that your guests will find what they need easily inside your cabinet. Whenever I read through a recipe, I look for ways to minimize the number of dishes it will dirty. I take shortcuts wherever possible and reuse prep bowls as much as possible. 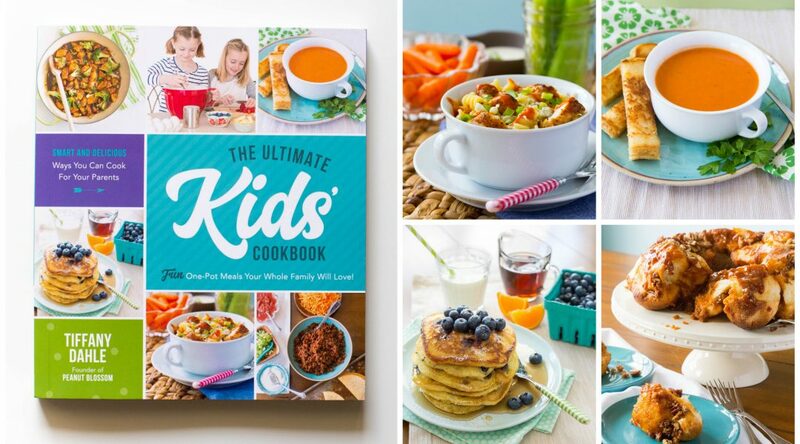 In fact, every recipe in The Ultimate Kids’ Cookbook uses my favorite tips and tricks for making the smallest number of dirty dishes. Use a single bowl to gather your prepped veggies for big recipes: When a recipe calls for a number of things to be added to the pot at the same time, I’ll chop and measure everything I need and store it in one big bowl. The perfect example of this is my easy French Onion Soup recipe I’m sharing over on Farberware’s web site. 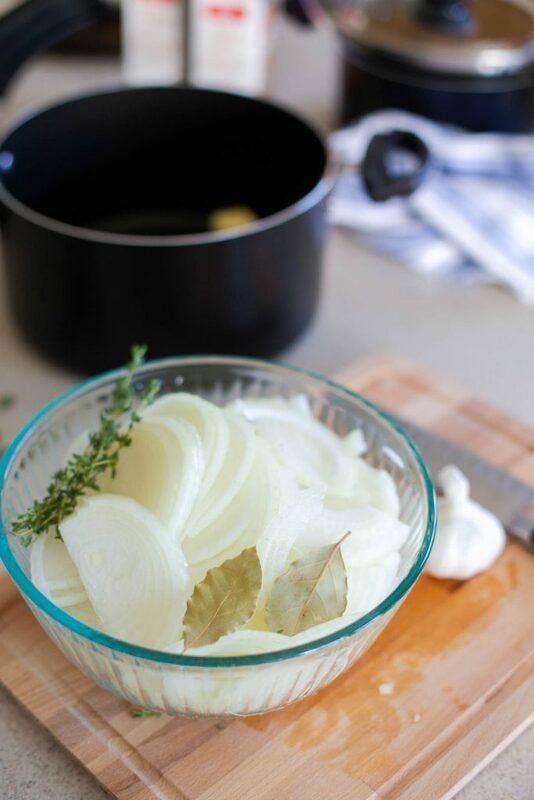 Chop all the onions and measure all the seasonings into one big bowl and dump it in the pot when you’re ready. You can get the recipe right here. Use a measuring cup as a mixing bowl: I will measure multiple liquids and crack eggs all into one big measuring cup and whisk them together right there instead of transferring everything to a separate mixing bowl. Just be sure that any solids (eggs, thick hoisin sauce, or peanut butter come to mind) are added last so your measuring isn’t thrown off. My mom is the BEST holiday kitchen helper of all time. She does one simple thing that makes the whole day go smoother. My mom voluntarily takes on the role of Shadow Washer. Haven’t heard of this? Let me explain . . . While I am busy chopping, measuring, sautéing, she follows me around like a shadow and immediately washes every measuring cup, spoon, knife, cutting board, or pan I leave in my wake. When mom is in my kitchen, there is never a dirty tool on the counter. I always have exactly what I need for the next task, clean and fresh and ready to go. If you’re the hostess and someone offers to help, you could request a volunteer Shadow Washer. Make the job feel a little more special by leaving out a tall stack of pretty holiday towels and filling the sink with bubbles. I love the holiday scents by Mrs. Meyers that you can find at Target, but good old fashioned Dawn works great, too. If you’re a guest in someone else’s kitchen, particularly your own mom/mother-in-law/grandma, don’t ask–just step up and do this simple thing and watch how much pressure it relieves from the chef! It’s the perfect way to help them save their energy and let them relax and enjoy the cooking. Bonus: at the end of the cooking session, the kitchen is almost perfectly clean except for the food in the final pots and pans it was cooked in! Everyone can enjoy the meal knowing that the final clean-up will take a fraction of the time. For years I’ve struggled with how to make my kitchen feel a little more festive during the holiday season. My kitchen is so heavily used, I couldn’t stand sacrificing any countertop space for cute decor. This year, I decided to combine practical, useable pieces in a neat and tidy tiered tray and I can’t believe how it perked up the space! 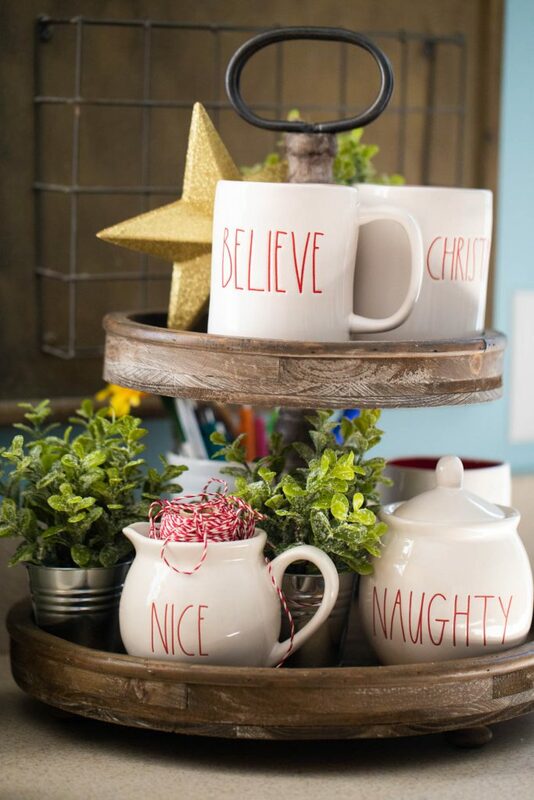 I bought this tiered tray and then added sweet holiday mugs and a sugar bowl and creamer and canister set that I use to store handy kitchen tools like my twine, matches, cocoa packets, and pens. When guests come, they are welcome to grab a mug and fill it with their beverage of choice while they hang out in kitchen. No hunting in my cabinets required! P.S. If you’d like to learn more about Farberware’s Neat Nest cookware, you can follow them on Facebook, Twitter, Pinterest, and Instagram.